When Home Care Pulse published their 2016 Benchmark Study — the result of responses from representatives of more than 600 home care providers— perhaps nothing stood out quite so much as what the study revealed about turnover in the industry. The 2015 median rate of turnover for caregivers receiving more than eight (the median) training hours was still a massive 63.8 percent! In addition, concern about caregiver turnover continued to rise. While just 13.4 percent of respondents listed turnover as a primary concern in the 2014 report, the number was 22.4 in 2016. (Shortages remain the top — and also growing — concern. The takeaway? Too many caregivers leave, and too many providers are (rightly so!) facing anxiety about caregiver turnover. Fortunately, lots of companies are ready to help you tackle this issue by providing extensive resources on employee satisfaction, industry standards and improving retention overall. We've gathered 22 of the best resources to help you improve retention and keep your business — and your clients — healthy. This list isn't exhaustive, but it is comprehensive, and the resources will most certainly help you and your team reassess caregiver turnover and implement positive changes. Let's jump in. The Study has an entire section with lots of data on recruitment and retention. This section includes information on the impact of training, wage increases and recruitment sources on caregiver turnover along with historical caregiver turnover rates and percentile rankings. The turnover rates are also broken down by geographical region, revenue ranges and years in business. 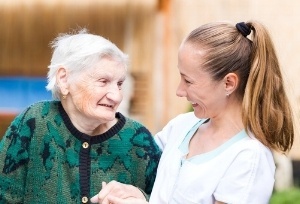 Outlines how to structure a caregiver mentoring program that helps reduce turnover. This tool outlines the structure of the caregiver mentoring program in an easy to understand flowchart. It also shows responsibilities of mentor leads and caregiver mentors. In this webinar replay, Home Care Pulse CEO Aaron Marcum discusses the reasons a mentoring program can boost retention, the main components of an effective mentoring program and how to create and implement a mentoring program. In this webinar replay, Home Care Pulse COO Erik Madsen shows how to increase retention by focusing on understanding your caregivers. Erik shares a list of suggested items to know about your caregivers, and discusses how knowing each of these can give you the direction you need to lower your turnover and improve your quality of care. Use this template to create unique certificates to recognize your caregivers and help increase caregiver retention. In this brief 30-minute webinar, Home Care Pulse COO Erik Madsen discusses one particularly impactful strategy for reducing caregiver turnover: recognition. Erik provides a framework, as well as context and examples of a proper caregiver recognition program, and how it can be done regardless of the financial position your business may be in. This white paper offers suggestions for ways caregivers prefer to be recognized, taken from Home Care Pulse’s caregiver satisfaction interview results published in the 2014 Private Duty Benchmarking Study. Hint: a pay raise isn’t necessarily what your caregivers are looking for. A webinar replay with Home Care Pulse CEO, Aaron Marcum. This manual is an extensive resource for home care agencies everywhere. Part 1 of 2. In this webinar, IPCED presents seven low-cost retention strategies providers can begin implementing immediately. Part 1 of 2. This webinar offers a step-by-step process for recruiting as well as some interesting perspectives from home care providers. This blog post covers both engagement and retention. Great Cargivers and Compliance Go Hand-in-Hand.